This is a fantastic, modern apartment, located right next to Gaudí´s famous Park Güell, one of Barcelona´s biggest attractions. The area is known to be quieter than the very city centre, while remaining close to the main sights by via public transport. Surrounding the apartment you´ll find bars, cafés and restaurants, as well as supermarkets for your convenience. This stylish apartment has single beds distributed throughout its three bedrooms. There is also a sofa bed, allowing the apartment to accommodate up to 8 people in total comfortably. There are plenty of utensils and appliances in the fully equipped kitchen, so you´ll have everything you need to make your favorite recipes, or even to try out some Mediterranean-inspired dishes. The cozy living area has direct access to the balcony where you can enjoy your meals ´al fresco´. There are two bathrooms in the apartment, allowing for maximum privacy. 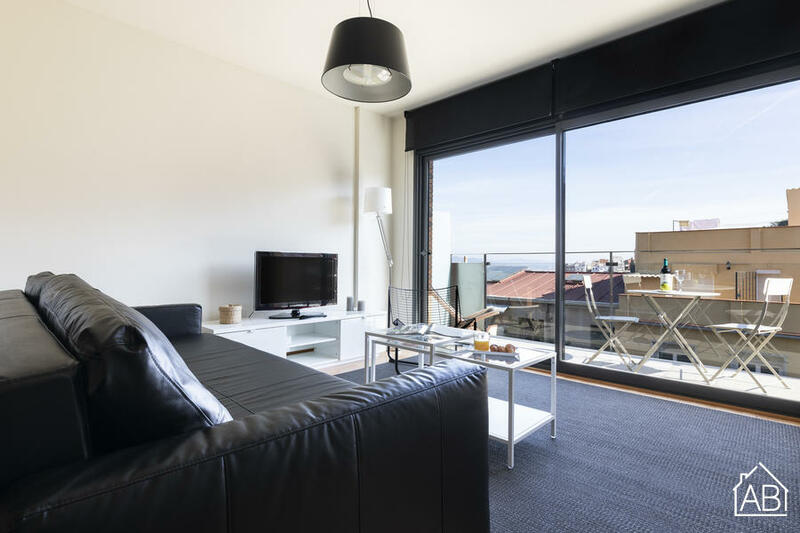 You’ll also find an iPod dock, a satellite TV and a DVD player in this premium apartment, perfect for relaxing after a day of discovering all that Barcelona has to offer. There is also a second TV in the ensuite bedroom. WiFi is available too, making it easy to stay in touch with friends and family back at home.